Spatialinks integrates dynamic location-based digital assets into brand and consumer connections to provide relevant, valuable and visible information to help facilitate the decision, engagement, buying and sales process. START TODAY Integrate local marketing solutions into your strategic objectives. Start marketing your expertise! 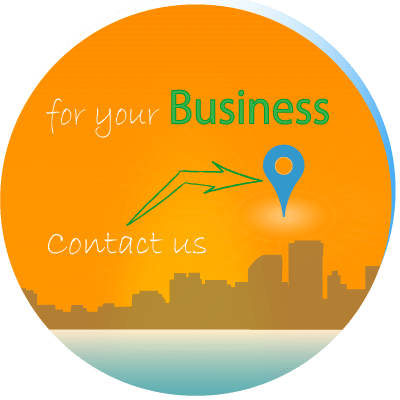 Connect with the closest customers in the location most vital to your business products and services. Build awareness and drive sales with targeted messages important to prospective clients. Promote your company’s expertise, service quality, and product knowledge through online insight and offline connections. Take the guesswork out of what to do next with your local digital marketing! Take control of your online business information! A critical element in driving traffic to your business is have consistent, accurate and informative data to help potential customers make the correct buying decision. Search Engine Optimization is a key element for improving and providing relevant information to Internet search engine companies like Google and Bing. We drive results using critical location data structure other other strategies to make your company the most relevant. To help capture consumer attention and develop future marketing campaign opportunities, we help structure and build landing pages to promote locations, brands, products, and services. Building credibility through online reviews and feedback can help a company capture and emphasize the positive elements of their business. It also provides an excellent opportunity to reach out to customers based on their sentiments. The revolution of social media has given endless possibilities to meet customer demands. Social connection leaders like Facebook, Twitter and Linked-IN are always changing their platforms with new targeted products. How are they helping you connect and gain insight to your audience? Spotlight Your Company! Reach more people through local paid sponsorship based on the audience by targeting the right location, age, gender and interests. Want to keep tabs on your competition or repeat a success strategy implemented by your competition? There are more ways than website links to investigate the tools and strategies you competition is using in their marketing. We can help you find what tools are right for you. Visual presentation is essential to personalizing and targeting your marketing communication with customers. Capture and build on the source and medium data effecting business trends, insights and influence relevant to your business goals.